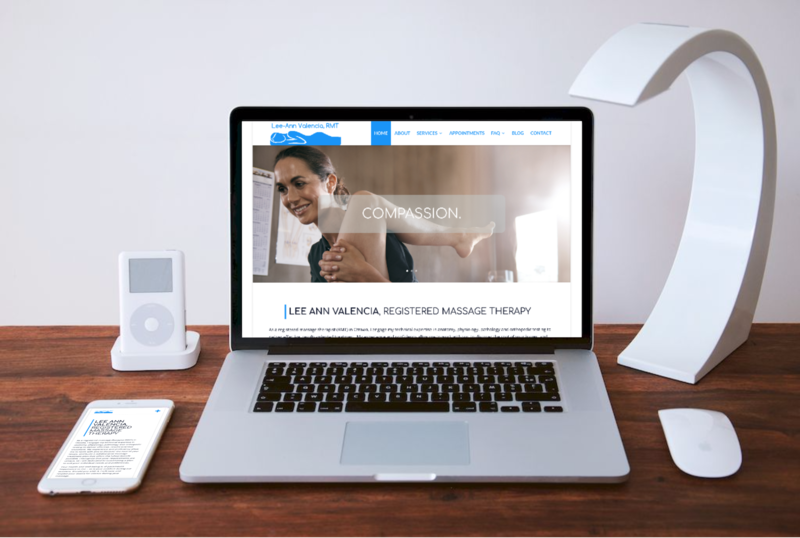 Lee-Ann’s extensive technical expertise in anatomy, physiology, pathology and orthopedic testing makes her one of the top registered massage therapists in Ottawa. However, her existing brand and website were sorely lacking in inspiration, and driving potential clients away. The team at | venture creative collective | built a new, modern brand identity from the ground up for Lee-Ann that highlights her collaborative, professional approach and approachable demeanor. A custom-designed logo and sleek, responsive website give Lee-Ann’s brand the authority she deserves. Unique business cards take full advantage of the new logo for a memorable effect. Much appreciation and gratitude to Venture Creative for rebranding my business and designing my new website, which I absolutely love and am very proud of! Over the past 15 years, I have gone through several web and branding redesigns, and I have to admit that I was dreading the necessary process for them to determine what myself and my work was all about. What information do you convey to virtual strangers so that they can determine logos, colours, language, fonts and layout that are appropriate and true to you? This is what they specialize in, and that’s why people like me hire people like them! Much to my surprise it was all very simple and kind of fun, because they have systems in place where choosing is easy and it gives them a good idea of what appeals to you. We met once face to face, and everything else was done online … they introduced me to a file sharing system, sent me links for what I needed to shop for (some with discounted rates too! ), and they have a system where all our communications are kept in one place, nicely organized. Additionally, they were very clear and concise up front with cost estimates, how many edits were included, and how I could save by condensing my information. All in all, I’m very, very impressed with their level of professionalism and the whole process from start to finish. I highly recommend Venture Creative for branding and web design!